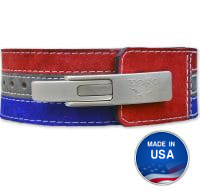 Titan Longhorn™ belt in 3 color Suede. 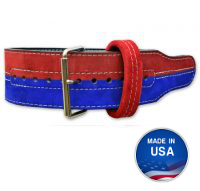 Hand crafted using premium Texan leather and seudes with three colours of your choice. 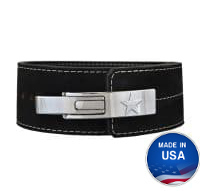 Fitted with our superior Texas Belts lever with lifetime warranty. 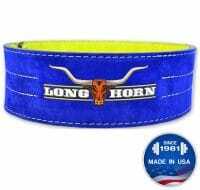 Longhorn™ Powerlifting belt in 2 color Suede. Hand crafted using premium Texan leather and seudes with two colours of your choice. 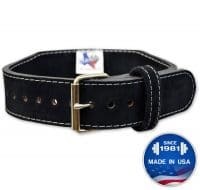 Fitted with our superior Texas Belts lever with lifetime warranty. Titan Longhorn™ Powerlifting belt with two-color Suede. Hand crafted using premium Texan leather and Suedes with two colors of your choice. Your choice of single or double prong. 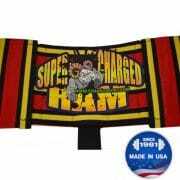 Reversible powerlifting belt, you can wear either side on the outside. Two belts in one! A Titan invention. Your choice of two colours for each side from a wide selection of Suedes. 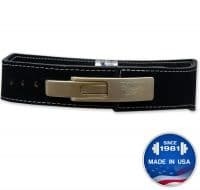 Longhorn™ powerlifting tapered belt now available tapered with prong mechanism. Made in the United States from American sole bend leather and suede. IPF Approved. 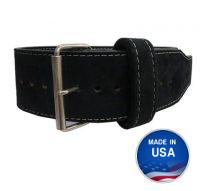 Longhorn™ powerlifting belt now available tapered with lever mechanism. Handcrafted in the United States from local sole bend leather and suedes. Our introductory powerlifting prong belt. 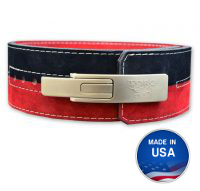 The Toro™ is entirely made in the United States from the finest materials and skilled craftsmanship. 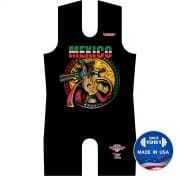 Our introductory lever powerlifting belt. 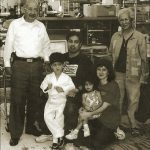 The Toro™ is hand crafted from the finest materials and skilled craftsmen entirely in the United States.